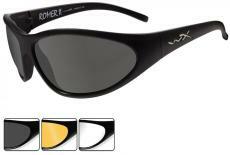 Wiley X's Romer 3 glasses have slot frame technology to make swapping or replacing lenses quick and easy. They meet ANSI Z87.1-2003 high velocity standards and meets VO ballistic impact test Mil-Prf-31013. They are ultra light and have a ergonomic design. 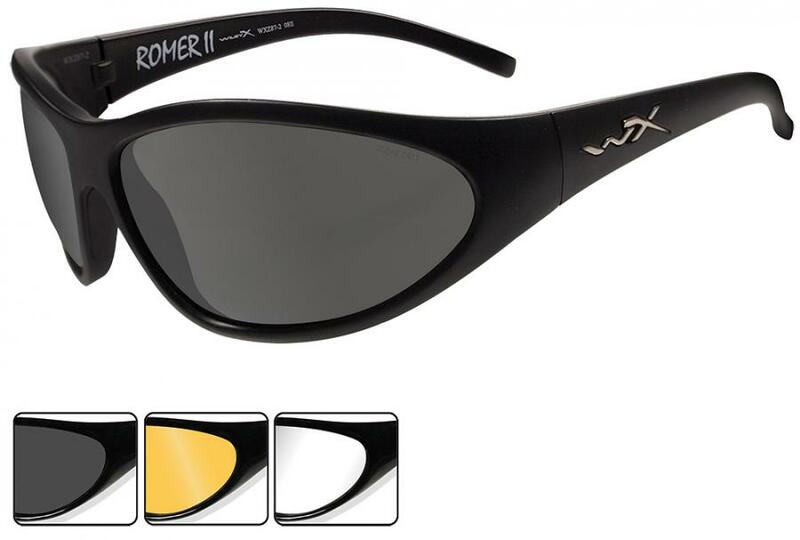 Romer 3 comes with two interchangable lenses: smoke gray with 11% polarization and 15% light transmision for bright/glare conditions and clear with 89% light transmission, perfect for hazy, overcast or dusk/dawn conditions. These glasses also come with a zippered nylon case and a cleaning cloth.